Ever since my foraging class and finding out that the beautyberry has great properties for a bug repellent I have wanted to try my hand at making a recipe. I read through many recipes for bug repellent on the internet and studied a bit on the beautyberry itself. “Eat You Weeds” has a good article on beautyberry and it a includes a recipe for bug repellent. This recipe uses 1 cup of neem oil and what I could find was around $8.00 for 8 oz plus shipping. There are recipes for sprays and creams. I decided on a cream (seems that the cream lasts longer) so I found a recipe and used it for my base. Here is my recipe. 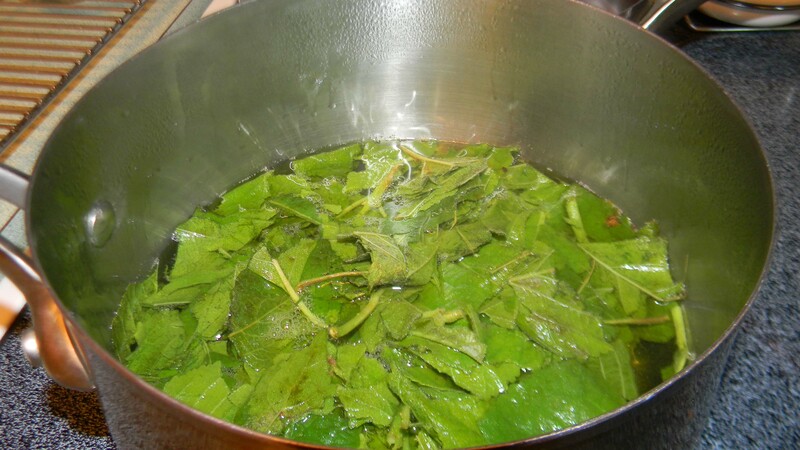 I put 3 cups of water into a pot and added the 1 cup of torn beautyberry leaves. I simmered for about 20 minutes on medium heat and then strained this liquid into a canning jar. There should be enough liquid to make 3 recipes of the cream. 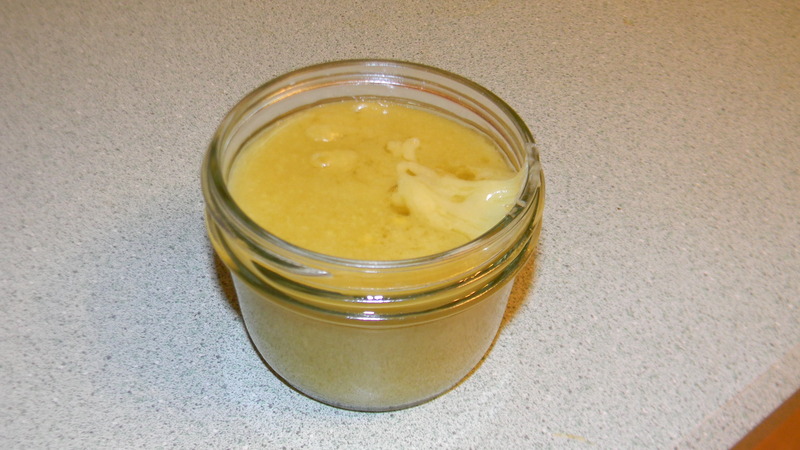 I placed the bees wax and the grapeseed oil in a glass canning jar then sat the jar in a pot of water on medium heat. 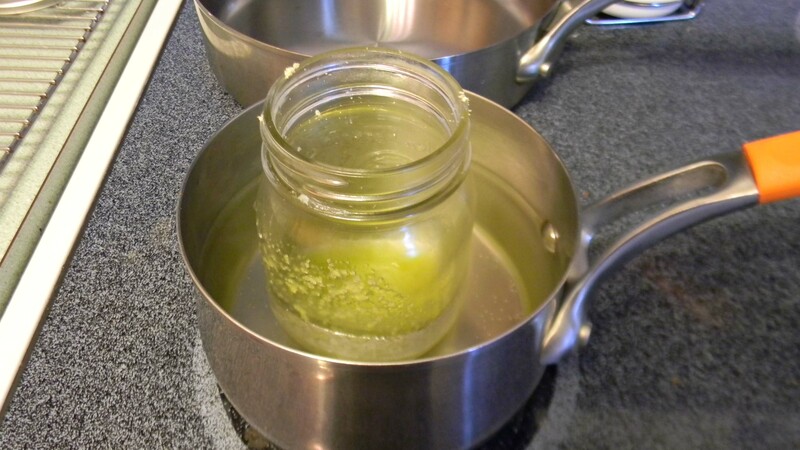 As soon as the bees wax is melted remove jar and add the Vitamin E oil. Pour 1/2 cup of the warm (must be warm) beautyberry liquid into the oil constantly stirring with the wisk until it becomes creamy. Let cool a bit. Next add the citronella and lemongrass EO. Cover jar and shake. Remove cover and let mixture cool completely. If you see the mixture separating you can place lid back on the jar and shake then remove lid again. Now was the time to test my concoction. I used bees wax in my recipe and discovered that is not a good replacement for emulsifying wax so mine is separating. I have some on order now. 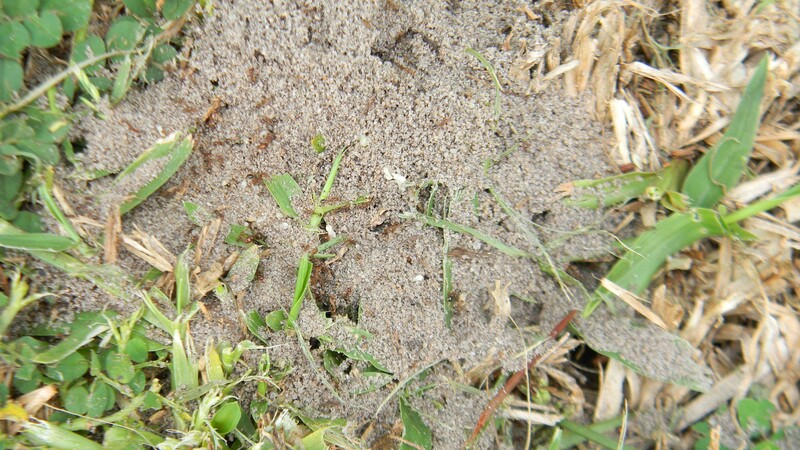 I read that beautyberry was good a repelling red ants so the first part of my experiment was to find a red ant pile and disturb it. Next was to stick my foot near the mound to see if any of them bit me. I could not believe I was doing this!!! Especially since I just stepped into a pile yesterday and got bit many times. As they crawled onto my foot I waited for that horrible sting……and nothing happened. They just crawled back off. I don’t know how scientific this experiment was but I won’t be going out in the yard to work without this cream on. Next was the mosquito test. I slathered the cream on and sat outside listening to the sounds of evening. And the mosquito’s came and they conquered. So this formula worked for the red ants and was a bust for mosquitoes. So on to the next recipe. More to come. This entry was posted in health and beauth, Homemade products, Posts and tagged Beautyberry bush, Bug repellent beautyberry, Homemade bug repellent. Bookmark the permalink. You courageous pioneer woman! Thanks for testing this for the rest of us! Haha, not my favorite thing to do.